WHAT?? Who Shot At Davido During Osun PDP Rally? Davido performs at Osun PDP governorship campaign. We all know pop music superstar, Davido, born David Adeleke has been campaigning for his uncle, Ademola Adeleke to become the next governor of Osun state. 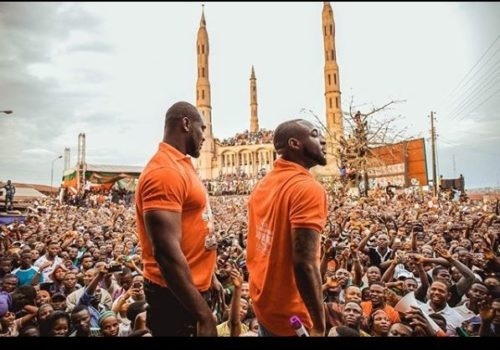 A campaign rally held on Saturday and was well attended because Davido was in town to perform – a rare opportunity for the locals to see the star they adore. But later that night, the DMW boss took to his Instagram to condemn what looked like a gun attack. There had been earlier reports that Senator Adeleke’s campaign billboards were destroyed in some parts of the state. The entertainment industry must be grateful one of theirs did not get caught up in political violence.